Mumbai: India sits on one of the world's biggest coal reserves, yet its power stations are starved of the fuel with some idle and others running dangerously low on supplies. "Otherwise its recovery and hopes of a Modi-boom will be scuppered," said Mr Neumann, referring to Prime Minister Narendra Modi, who came to power in May on a platform of reviving Asia's third-largest economy. The crippled state of power supply was on full display in New Delhi during its hottest months in May and June when long power outages led to street protests and uproar in Parliament. As the country enters its rainy season, "it will become more difficult to replenish the coal stock", NTPC Chief Arup Roy Choudhury wrote to the power ministry in a letter obtained by AFP. "In the case of even small disruption, the total power generation at these stations will be adversely affected," Mr Choudhury said. The situation seems unnecessary given the country's 302 billion tonnes of coal resources, which represent the world's fifth-largest reserves. 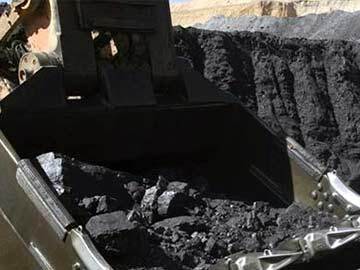 The reason for the imports is the snail-pace development of the domestic coal sector - underscored by the fact the first new major coal mine in more than five years began production just last week. The lack of power is a drag on economic growth with the peak hour deficit - the gap between supply and demand - about 12 per cent. On top of that have been corruption scandals which have crippled the industry. "The coal shortage in India is a case where you have everything you need, yet you seem to have nothing," said Manish Aggarwal, head of energy and natural resources for consultancy KPMG in India. Mr Modi's government has already sought private funding to help repair the country's crumbling infrastructure, especially the railways, essential for transporting domestic coal to plants and solving the shortage. Estimates peg the amount of money needed to repair India's key infrastructure to be around $1 trillion for the next few years after decades of neglect, which has contributed to the embarrassing power crisis. A blackout over half the country two years ago left hundreds of millions of people without electricity, and was blamed on energy-hungry states drawing power from the grids beyond their allocated limits. And this demand for power is only set to grow, with nearly 400 million out of the country's 1.2 billion citizens still without access to electricity according to the World Bank. But the trouble in spreading the electricity net wider is that the supply shortfall will only increase, resulting in more power outages in bigger swathes of the country. "If the regulator starts putting pressure on the utility company to provide power to all, then the latter will be forced to keep buying from the already scarce market," said a senior power sector analyst who requested anonymity. "Then, we could see the blackouts we currently call load-shedding to increase dramatically," he said. Although the government has promised steps to overhaul the sector, it will take time to get coal wagons rolling. "You can't wave a wand and boost coal supply overnight," said Ashok Sreenivas, senior research fellow at Prayas Energy Group, a Pune-based non-profit group. Meanwhile, the government's inability to forge ahead in nuclear power due to local opposition means the country will be dependent on coal for years to come, analysts say.